Eugenie Bouchard, born on February 25, 1994, is a Canadian professional tennis player and is currently ranked 46 in the world. At the 2014 Wimbledon, she became the first Canada-born player, representing Canada to reach the final of a Grand Slam in singles. In the final, she lost to Petra Kvitova. To her credit, she also reached the semi-finals of the 2014 Australian Open and 2014 French Open and won the 2012 Wimbledon title. 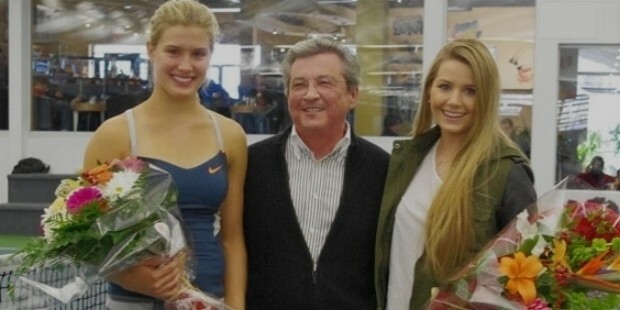 Eugenie Bouchard was born to Michel Bouchard and Julie Leclair in Montreal. Eugenie is named after Princess Eugenie of York. Eugenie started playing tennis when she was only five years old, and she is a member of Tennis Canada's National Training Centre in Montreal. She attended The Study School in Westmount; she moved to Florida with her mother, Julie Leclair, when she was twelve years old, and there she got professional tennis coaching by Nick Saviano. Eugenie went to The Study School in Westmount. She was an efficient student in mathematics and science, and at one point in time, she had even considered a career as a physician. While taking coaching from by Nick Saviano, she was nicknamed "the chosen one" by her siblings. Her father formed a limited partnership named "Tennis Mania" to support Eugenie's career. Her father was involved with two other investors who contributed money to the partnership in exchange for 10% of Eugenie's future earning when she would become a professional tennis player. In August 2013, a court ruled that the partnership has no legal claims as Eugenie, a nine-year-old kid at that time, couldn't have reasonably agreed to give away parts of her future earnings. Eugenie attended the tournament Open Super 12 in Auray, France in 2005. She won the ITF singles as well as doubles title in Costa Rica and also the All Canadian ITF singles title in Burlington in 2008. Then in 2009, at the age of 15, she stunned everybody by winning the Canadian Under-18 Indoor Championship in Toronto by beating Quebecer Marianne Jodoin to become one of the youngest winners of the indoor event. In 2011, she lost in the semifinals of the Australian Open singles junior event against the then 5th seed Monica Puig. After a week, she won her first professional title at the ITF $25,000 Burnie International by defeating fellow 16-year old qualifier Zheng Saisai in the final. In the Australian Open in 2014, Eugenie beat former world no. 1 Ana Ivanovic and reached the semifinals but lost to the world no 4 Li Na, but her impressive performance guaranteed her a spot in the top 20 for the first time. Later on, she won both of her single matches in the Fed Cup World Group ll and helped Canada reach the World Group Playoffs for the first time since 2004. 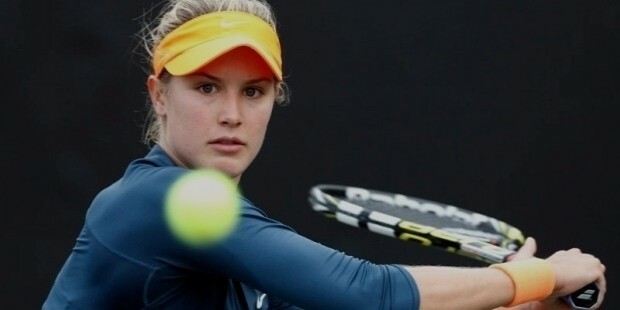 At the Nurnberger Versicherungscup, a French Open warm-up tournament, Bouchard won her first ever WTA single title by defeating Karolina Pliskova in the final. At the French Open, she reached her second consecutive Grand Slam semifinal, and there she lost to world no.8 and eventual tournament winner Maria Sharapova in three sets. She was playing well in the 2015 U.S. Open and beat Alison Riske and Polona Hercog in the first and second round respectively. She then defeated Dominika Cibulkova in the third round to reach the fourth round where she was scheduled to play Roberta Vinci, but Eugenie had to withdraw due to a concussion, an injury she suffered after slipping and falling in the locker room. Bouchard started 2017 by playing at the Brisbane International, and she lost to Shelby Rogers in the first round. 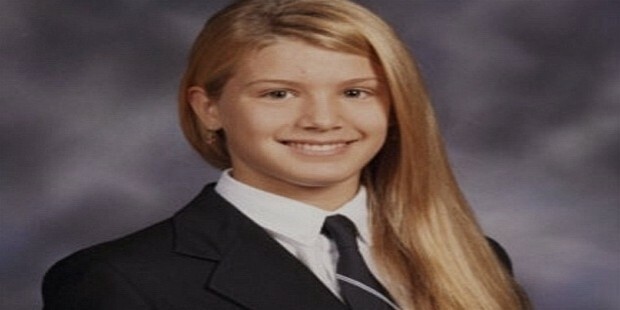 Eugenie Bouchard is one of the most famous players in the women's professional tour. Her dating life has been closely scrutinized, despite her attempts to keep this aspect of her life private. Bouchard has been in the news for her link-ups with a few celebrities that also include fellow athletes. Bouchard was linked to NHL hockey player Alex Galchenyuk, though neither of them ever admitted to having any relationship with each other. She was linked to another hockey player, Jordan Caron. There was another rumor of Eugenie seeing her mixed-doubles partner, Nick Kyrgios in the 2015 U.S. Open, but Bouchard denied it. Runner-up in the 2014 Wimbledon where she lost to Petra Kvitova 3-6,0-6. Won the WTA Newcomer of the Year award in 2013. Awarded Tennis Canada female player of the year in 2013. Won the Bobbie Rosenfeld Award in 2013. Won the WTA Most Improved Player award in 2014. Won the Tennis Canada female player of the year award 2014, 2015 and 2016. How is Fear of Failure Worse Than Failure Itself?